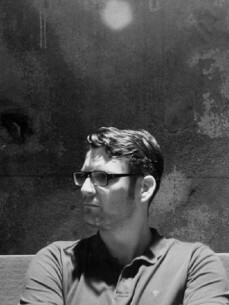 Norman Nodge is a resident dj at Berghain since 2005. Being a life long music lover, dj and promoter of his own parties all led up to his current status of Berlin’s secret weapon for serious techno. Born in East German Leipzig, raised in Brandenburg, Norman got bitten by the techno bug after the wall came down. From 1994 on he promoted several events, which also helped to launch his career as a dj. At these parties, he crossed paths with Marcel Fengler and Marcel Dettmann for the first time and literally became their mentor for all things techno. At the end of the 90s, Nodge backed out of the local nightlife in order to focus on becoming a lawyer and starting a family. Five years ago, though, Marcel Dettmann pitched him to Berghain’s management and he became a resident instantaneously. Since then, he plays there once a month specialising in the almost forgotten art of warming up at the beginning of a night. In 2005 he also started to produce his own tracks. His maturity proved to be very beneficial in terms of his artistic vision, as he made up his mind about what he likes and what not a long time ago already. Unsurprisingly, his outings on Dettmann’s MDR label, as well as his track „Native Rhythm Electric“ for OstGut Ton left a deep impression with headstrong techno lovers. With his dusty funk, static hiss and the rich thump of his kick drums, he managed to made himself recognised as one of techno’s more unique auteurs.